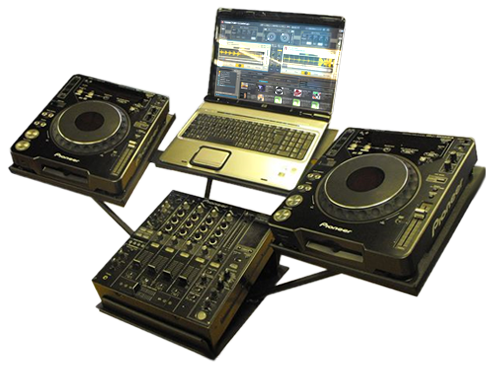 We have a Wide range of DJ gear for Hire in Edinburgh. 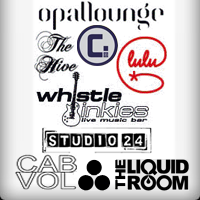 Located in the heart of Edinburgh, making it extremely easy to collect the DJ Package your hiring. With DJ setups available for rental from under £30.00 we have DJ gear to suit any event's budget. With 30years in the Sound & Lighting industry we are able to insure you get the Perfect DJ equipment for your event. We like to put our selfs at the frontier of DJ hire in Edinburgh to keep our selves competitive and intune with Edinburgh DJ's needs. We strive to make sure your hire is not only a great price but is using top quality commercial DJ product's available on the market today! Our basic Twin CD player and mixer is the perfect DJ tool for events that only require basic DJing functionality. With it's all in one design this is a very compact system for rental. Fully equipped for the future of digital DJing and inspired by the input of world-renown DJs, Hire this industry Standard DJ CD player as a pair and save money! The legendry Pioneer DJM series just got better with the introduction of the DJM400 2 channel mixer. Hire this 2 Channel Mixer with built in Effects. The Pioneer DJM 600 is an advanced DJ mixer that's surprisingly easy to use. The DJM 600 is loaded with features including a sampler, a BPM counter (Auto or Tap,) and digital effects. You can even sync the effects to the BPM of the song! The DJM-800 mixer gives professional DJs the tool they need to expand their musical horizon, with capabilities for mixing records, remixing, producing and performing. Pioneer's DJ mixers have a reputation for providing high quality and reliability. Introducing The Technics Championship battle mixer. This mixer is famed for it's simplistic layout and high quality build. The perfect mixer to hire if you are just looking to mix music. Optical Cross Fader - The ergonomically designed optical cross fader ensures a long life and a smooth feel. Three Column Level Meter - Easy to read, easy to use three column level meter is ideal for the professional DJ. Technics 1210MK5 Professional Turntable Long recognized by the world's DJs as the best club Turntable.. Hire this Industry standard turntable today! Hire the New Pioneer CDJ2000.play music from multiple sources, including CD, DVD, USB storage devices and SD memory cards. With a built in high quality sound card, midi control and 6 colour effects as well as 5 new BPM effects and a simply to use X-Pad to control effects parameters. If you're looking for a mixer that matches the CDJ-2000 digital decks in power and performance, look no further. With the effects technology of the EFX-1000 built in. Suitable for all single DJ CD decks and Most mixers. 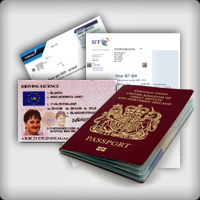 Confirm Suitability for your hire by contacting us on 0131 556 1300.